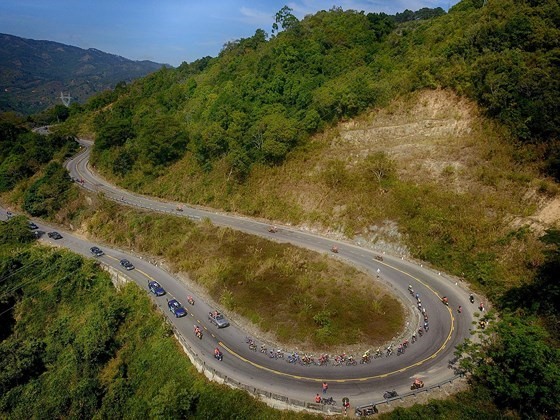 HÀ NỘI — The HCM Television Cycling Tournament will begin this month. The event will feature 13 teams, including VUS-HCM City, Lộc Trời An Giang Group, Gạo Hạt Ngọc Trời An Giang and Hà Nội. Each team is allowed to have one foreign cyclist. Mirsamad Pourseyedi of Iran will ride for Lộc Trời An Giang Group and Ali Khademi of Iran races for Gạo Hạt Ngọc Trời An Giang. Khademi won the Asian U23 Championship in 2013. The 26-year-old has competed for Iran’s national team and several professional teams in Iran. Meanwhile Loic Desriac, a former national U23 rider for France, will compete for Bike Life Đồng Nai. Cyclists will compete over 17 stages with a total length of 2,002 km. The event will begin from HCM City Square in Nghệ An Province on April 12 and then travel via many central and southern provinces to HCM City on April 30 to mark the 43rd anniversary of Southern Việt Nam’s liberation and the Reunification Day (April 30, 1975-2018).